Remember the Herbal Essences X Neo Gal party I was talking about? If you don't, you totally missed a lot of fun! It was the first party right after I came back from Japan, glad that it was a japanese theme event, after all, we all do love Japanese fashion. I was the representative for Soft Lavender & Cheesie was Sweet Rose. Anyway, welcome to my Soft Lavender booth! We have a D.I.Y hairband bar and also, a spray tattoo bar! It took my quite sometime to figure how to use a hot glue gun but these girls are experts! I think I failed Kemahiran Hidup in the past lololl. Wanted to get some spray tattoo but there's so many people waiting to so I gave up. Regretted cuz I think it'll match my badass-ish neo gal look! Nana & I at the Soft Lavender Photowall! We can even decorate our pictures! Okay the left pic is a bit fail cuz I wasnt ready lololll. On the other side, Sweet Rose! Sweet Rose has this awesome Cupcake bar where we can decorate our own cupcakes! I miss cherry blossom so much I put on some pink and white flowers on my cupcake! Besides that, there's also performances and hair make showcase. Claris is also a blogger, she has great voice!! And there's also DJ Janechuck on decks to end the party. LOLOLL. Okay Me. 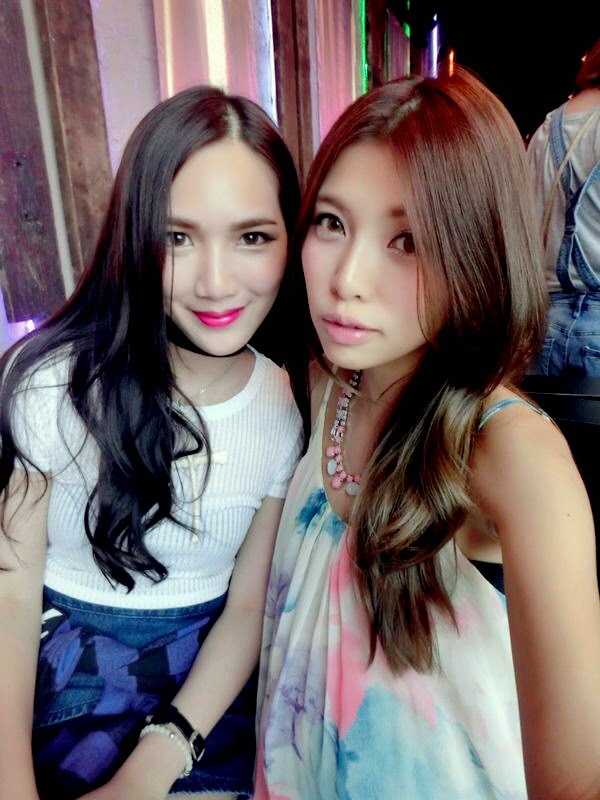 It was a great party and I hope we can have more japanese fashion parties like this in the future! Thank you Herbal Essences and Nuffnang & Churp Churp for the awesome party! A little bit about Herbal Essences Japanese Series before I end my post! Herbal Essences uses naturally-derived ingredients such as palm oil, coconut oil and rapeseed oil as active ingredients that constitute the formula.With a soft and creamy floral scent, Herbal Essences Moisture repairs hair weakened by color, perms and styling. Its deep moisturizing agents keeps hair soft and manageable. Herbal Essences pursues long-lasting fragrance on hair with its new range, scented similarly to fine perfumes Also, The Japanese Series is specially formulated with Natural Ingredients like Rose and Camelia Oil so you can revel in touchably smooth hair with long lasting fragrance in just 1 use! Ending this post with …..